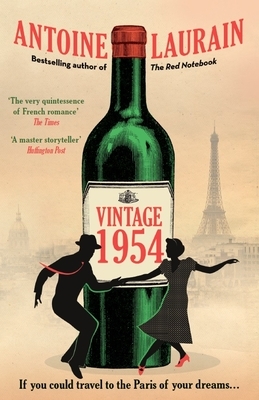 When Hubert Larnaudie invites some fellow residents of his Parisian apartment building to drink an exceptional bottle of 1954 Beaujolais, he has no idea of its special properties. The following morning, Hubert finds himself waking up in 1950s Paris, as do antique restorer Magalie, mixologist Julien, and Airbnb tenant Bob from Milwaukee, who's on his first trip to Europe. After their initial shock, the city of Edith Piaf and An American in Paris begins to work its charm on them. The four delight in getting to know the French capital during this iconic period, whilst also playing with the possibilities that time travel allows. Antoine Laurain was born in Paris and is a journalist, antiques collector and award-winning author. His novel The President's Hat was a Waterstones Book Club and ABA Indies Introduce pick in 2013. The Red Notebook was on the Indie Next List for May 2015 and was a MIBA bestseller. Antoine represented France at European Literature Night 2014.